Almost 30,000 Gosport residents voted to leave the EU. The turnout was 73.5 per cent with 63.9 per cent of people (29,456) backing Brexit to just 36.1 per cent for Remain (16,671). 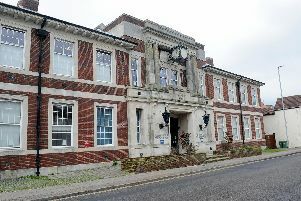 The revelation has disappointed Gosport Borough Council’s leader, councillor Mark Hook. ‘This has been a disappointment,’ said the Remain campaigner. ‘I think people have voted on one basis, whether that’s the economic argument or the immigration one rather than looking at it overall and the impact it could have in Britain.